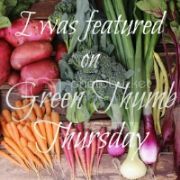 Queen Composter has already shared her love of freezing the excess summer bounty to eat during the cooler months here, and she is going to share more freezer love. I love composting kitchen scraps, but sometimes I like to freeze them instead. Why would I do this, you ask? I like to use leftover vegetable scraps in homemade soup stock when I am able to instead of buying new vegetables. 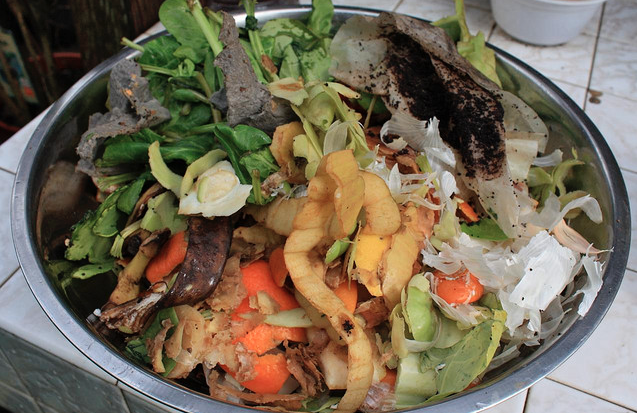 As a backyard gardener, I know all to well the effort that goes into growing food, and when I see the mound of scraps after preparing meals I can't help but feel that it is wasteful. I have learned to use more parts of vegetables, such as the leafy tops of celery and the delicious stems of broccoli, but there still seems to be too much left over. Instead of tossing the unused parts of vegetables, like the top and bottom scraps of carrots, turnips or parsnips, I put them into the pot to make soup stock. This summer I grew onions for the first time, and when I cut up and peel my onions it hurt me a bit to toss them in the compost bin. Apparently I don't need to do this anymore because onion skins can be used in soup stock as well. But the problem with using vegetable scraps in soup stock is that it would take many meals to save enough to make stock. Enter freezing the scraps. 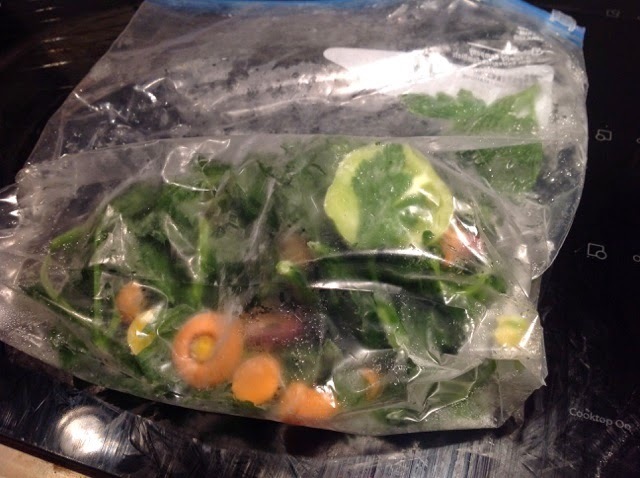 When I have leftover celery, onions, carrots and other root vegetables that I like in my stock, I throw them into a bag in the freezer with other scraps until I have enough. I also freeze apple cores and apples that my daughters don't finish for apple cider vinegar, and unfinished or overripe bananas for pancakes and smoothies. Do you have any food freezing stories to share to expand my love of freezing? I started making vegetable broth from kitchen scraps a few years back. Let's face it, folks, its FREE!!! It would otherwise be garbage, compost or chicken feed. Plus, I think it is loads healthier and doesn't create more trash/recycling. Win, win, win. 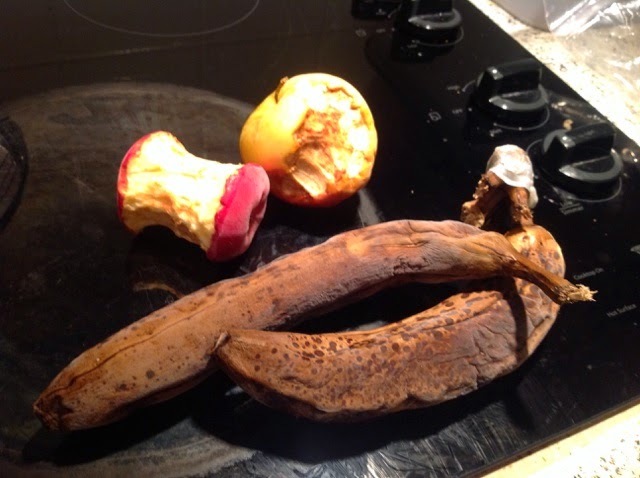 I also freeze bananas but I admit that you've outdone me with the apple cores! Those just go into the compost bin here. We cheat with making stock. When we splurge on a rotisserie we use the carcass for stock! Green Bean, I love free! Nothing better. And I've already done the work of chopping so it's laziness too (and I'm all about the lazy). Robbie, we try to do a roast chicken once a week in the winter so we always have chicken stock around the house (three plus meals out of it too; dinner, leftovers for lunch and then soup for a couple of days). Best cold and flu fighter IMHO, lol.